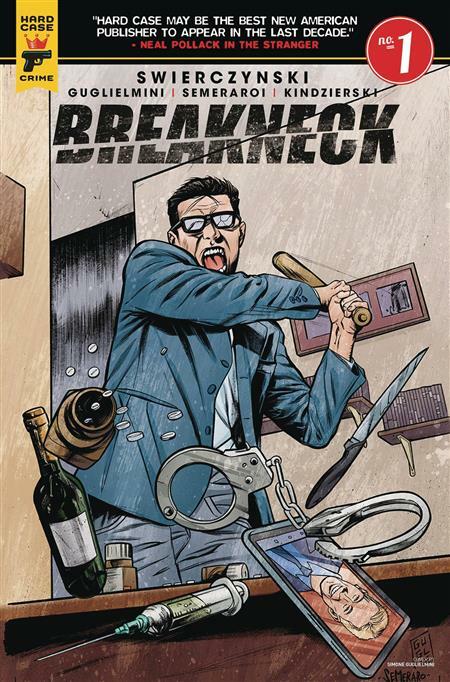 A gritty countdown crime thriller in modern-day Philadelphia, Breakneck is an all-new suspense comic from celebrated crime and comics author Duane Swierczynski (Deadpool, The Punisher, Severance Package, The Wheelman)! When white-collar everyman Joe Hayward confronts his cheating wife, he's plunged headfirst into a terrorist plot that will bring Philadelphia to its knees! With two hours to go, Joe will need all the help he can get - including the government agent his wife may be sleeping with! A perfect thriller for fans of 24, Homeland, and Falling Down, illustrated with every seedy detail by Simone Guglielmini (Near Death), Raffaele Semeraro (Zombie With A Shotgun), and Lovern Kindzierski (Hellblazer, Animal Man).